The WCOB works in cooperation with the Academic Medical Center (AMC) and IVMED (Rodynne Dzherelo) medical centers, where the vast range of specialists focus on a complex approach to the treatment of infertility problems. All the doctors are at the forefront of reproductive medicine in Ukraine and the world. The medical team's experience, modern laboratory facilities, and advanced equipment allows us to make an accurate diagnosis and enhance the variety of treatment options. Together we are staying at the top of new methods in the field of artificial reproductive technology. The IVMED Clinic has brought together reproduction specialists, urologists, embryologists, endocrinologists, immunologists, andrologists, and genetics specialists with more than 20 years of experience in the diagnosis and treatment of infertility. The professionalism and technical equipment of the clinic allow their team to apply 100% of modern knowledge and methods in the field of assisted reproductive technologies under the same roof. The philosophy of IVMED is aimed at reproductive perfection, at the heart of which are three key principles - Effective treatment, Responsible awareness, and Individual support. The IVMED Fertility Center combines high standards of infertility treatment with a focus on algorithms developed by the expert councils of the World Health Organization, the American Association of Reproductive Medicine, the European Union of Reproduction and Embryology, and the Ukrainian Association of Reproductive Medicine. The basic objective of their professional activity is positive confirmation of the long-awaited pregnancy of each couple. Doctor of the highest category, candidate of Medical Sciences. Master's degree at the University of Rouen (Rouen, France). Internship at medical centers in Lyon (France), Copenhagen (Denmark). Member of European Society of Human Reproduction and Embryology (ESHRE), American Society for Reproductive Medicine (ASRM), Ukrainian Society for Reproductive Medicine (USRM). 2004 – defended a thesis "Infertility treatment caused by the polycystic ovary syndrome using ART". Member of European Society of Human Reproduction and Embryology (ESHRE), Russian Association of Human Reproduction. 2010 - Fundamentals of reproductology. The real heritage of AMC is an alliance of leading doctors who are highly-qualified experts in their fields and well-known not only in Ukraine but also far beyond its borders. The AMC team has been working in close cooperation for over 20 years. The years of successful practice are based on the absolute trust of the patients whose health is of the highest value. The Academic Medical Centre is a multi-disciplinary clinic that meets high standards and provides a wide range of medical services with various degrees of complexity. The AMC always implements scientific innovations, new technology and the highest standards of world medicine to find the optimal solution for each health problem. It's more than just a Medical Centre, it is a source of experience and an invaluable reservoir of knowledge. Internship at leading clinics in Moscow, St. Petersburg (Russia), Clermont-Ferrand (CICE, France). 2008 - Master's degree at Public Administration at the National Academy for Public Administration under the President of Ukraine. Takes part in international and national congresses, conferences and seminars. 5 invention patents, author of 50 scentific publications in obstetrics and gynaecology, co-author of 4 textbooks. Fields of work: treatment of all forms of infertility, consultations on women's health, ultrasound examination, special IVF programmes (donor cycles, surrogacy). The first days of your child's life is literally an incredible time, extremely sensitive and delicate, and require particular attention and complex care. The WCOB has spent a lot of time studying the work of local maternity hospitals. It is crucial for us to know which of them are ready to really strive to provide your children with maximum comfort. 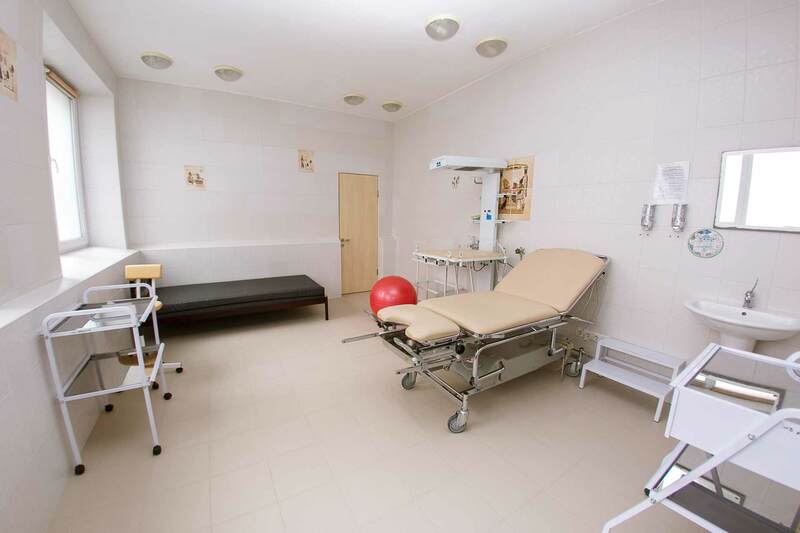 As a rule, a maternity hospital leaves an impression on the whole work process of the center, and so we are very careful and thorough in our choice. Now you can select where your children will be born. This may be a state or private maternity hospital. Each of them has advantages over many other similar institutions in the city. We are proud to cooperate with the very first maternity hospital built in Ukraine. It was also the first to receive International Quality Certificates and various awards for the effectiveness of its work. We highly appreciate the safety and hospitality of our maternity houses. You no doubt will enjoy the choice that we had made, thinking of your future.